I’m giving you a break from pictures and videos of my daughters this week – though with their last home soccer game of the season on Thursday and my older daughter’s Junior~Senior banquet last night, I could certainly fill a post, lol. 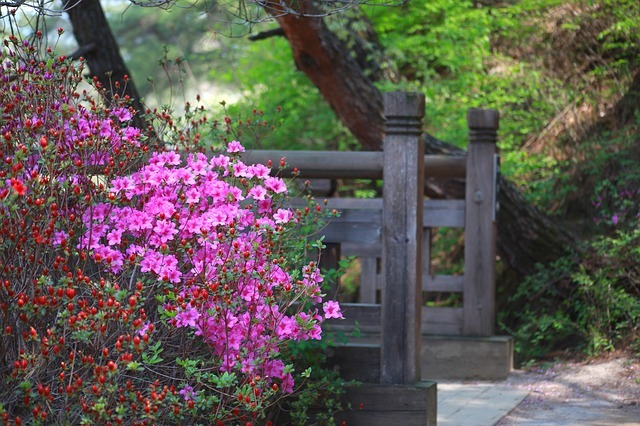 How about some pretty azaleas instead? Hope you’re enjoying some pretty spring weather! Now on to some good reads I found this past week. Julie shares 6 Examples of God’s Grace in Grief. Jessica has 10 Awesome Weekly Traditions for Your Family. Elizabeth says From Summer #21 as a Mom, the First 18 Sure Don’t Feel Like They Were All I Got. Deb tells us 10 Ways to Trust God’s Will When Life Is Hard. Carrington gives advice for parents of tweens and teens in When Your Home is No Longer the Center of Your Child’s World. Off to a baby shower this morning, then out for my birthday dinner tonight. Hope you have a wonderful weekend!! And THANK YOU for sharing my post. That means so much to me. I have to say I cannot wait for summer #21 with my first baby! Bless you, Tracey! Looking forward to summer #19 here, and encouraged by your words!! Hope your summer #21 is memorable in all the best ways! Thanks so much for your kind encouragement and sharing my post! AND have a beautiful birthday celebration! God bless you! “From Summer #21 as a Mom, the First 18 Sure Don’t Feel Like They Were All I Got” – reading this made me SOOO HAPPY!!! Thank you!! Had a nice dinner out with my husband in downtown Charleston! Awww, where??? High Cotton was “our special date place” for YEARS!!! Halls Chophouse! The food is always delicious, and the customer service is great. We usually have a gift card, which makes it nice since it is expensive. We’ve eaten at High Cotton a couple of times, and it’s really good, too! Happy belated birthday! I forgot that your birthday is a week before mine! I loved the post about weekly traditions. It seems like traditions have to be some big production, but they really don’t. A nice tradition is just something that everyone looks forward to, isn’t it? I keep forgetting to tell you about a new author I found: Kristy Cambron. I’ve read two of her books, and they’re so good: The Lost Castle and The Ringmaster’s Wife. I found Kristy Cambron some time last year, and flew through all of her books!! The sequel to The Lost Castle (Castle on the Rise) just came out recently. I have it downloaded to my Kindle, and hope to start reading it this week. Glad to know you enjoy her books as well!